LUXEMBOURG, and, SINT-NIKLAAS, Belgium, 23 May 2017. Newtec – a specialist in designing, developing and manufacturing equipment and technologies for satellite communications – today announced its broadcast equipment has been selected by M7 Group for its new European Direct-to-Home (DTH) transmission sites. The award-winning MCX7000 Multi-Carrier Satellite Gateway selected by the M7 Group, comes with the latest transmission standard DVB-S2X on board, as well as Newtec’s own efficiency improvement technologies, allowing M7 Group to save bandwidth. As a dense solution, the Newtec MCX7000 saves power and rack space. Using M7 Group’s existing capacity more efficiently enables the media company to add more channels in the best possible quality on the same satellite transponders. 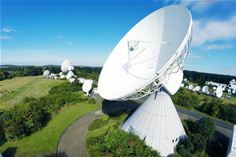 Viewers receiving content via Media Broadcast Satellite GmbH’s uplink in Usingen, Germany, will benefit from the new platform which is due to be installed later this year. The deployment of the MCX7000s strengthens the long-standing partnership between Newtec and the M7 Group, which previously also upgraded its installed base with several Newtec M6100 Broadcast Satellite Modulators including the Newtec Equalink® pre-distortion technology and Clean Channel Technology®. M7 Group SA, www.m7group.eu, based in Luxembourg, is one of Europe’s largest operators of satellite and IP-based TV platforms. M7 Group uses different brands in different countries: CanalDigitaal and Online.nl in the Netherlands, TV Vlaanderen in Flanders and TéléSAT in French speaking Belgium, AustriaSat/HD Austria in Austria, Skylink for the Czech and Slovak markets and M7 Deutschland in Germany. All brands offer tailor made packages for clients adapted to the local culture and language in these countries. Today, M7 Group SA provides more than 3 million viewers with hundreds of satellite and IP-based radio and television services in digital and HD quality. Since 2011, M7 Group SA also provides broadband and telephony services to its customers in the Netherlands and Belgium. M7 Platform Services provides broadcasters with end-to-end distribution solutions for DTH, cable and IPTV reception.